The Eastern Cape franchise are third on the table heading into the game, four points behind the Cape Town Blitz, who could stretch their lead when they play the Paarl Rocks late on Friday. The Jozi Stars currently second, one point behind the Blitz following their victory over the Durban Heat this afternoon, with the Spartans and Paarl also still gunning for a top three spot. The hosts will have one more match to play after this when they come up against the Rocks, but Smuts wants that game to be played without too much pressure. “Home games are always important and this next one is at home against the Tshwane Spartans, so that will be massive for us,” the skipper explained. “I said at the start of the competition, if you can do well at home, it will hold you well for the tournament. “Hopefully we can get a win there and almost take off the pressure from the last game being a must-win one. 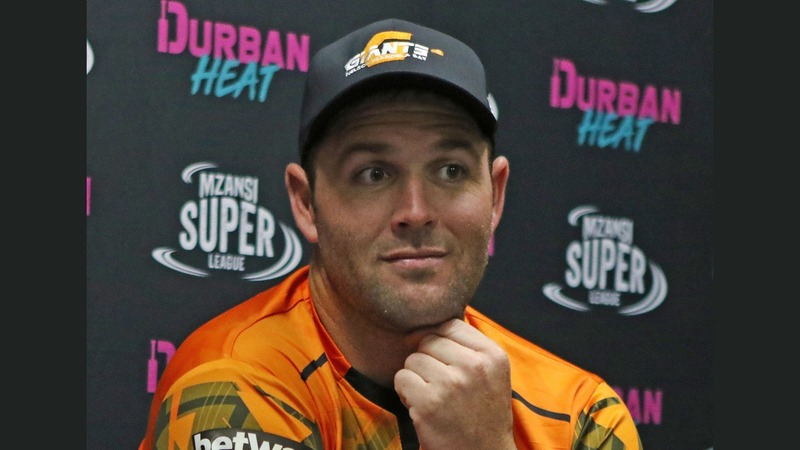 The Giants did have a big disadvantage in midweek when their match against the struggling basement side Durban Heat was washed out at Kingsmead – meaning they had to share the four points with their opponents. It means their prospects of ending on top of the table have now been hit. But Smuts says it was all about ending in the top three rather than worrying about whether you would be home or away in the play-offs. The team that ends top will qualify automatically for the December 16 final, with second hosting third in a Qualifier two days’ before. “The first thing is you want is to be in the top three to give yourself a chance,” Smuts said. “If you can get a home semi or home final that will be massive. For the Spartans to sneak into the play-offs, they need to win all three of their remaining games, possibly even with a bonus point. AB de Villiers concedes it will be tough, but says they have a score to settle against the Giants, who beat them by seven runs on the Duckworth/Lewis Method the last time they met.